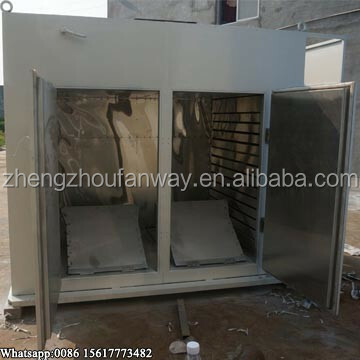 Buy Industrial use large capacity batch production red chili red onion drying machine price - Jinan Joysun Machinery Co., Ltd.
3. 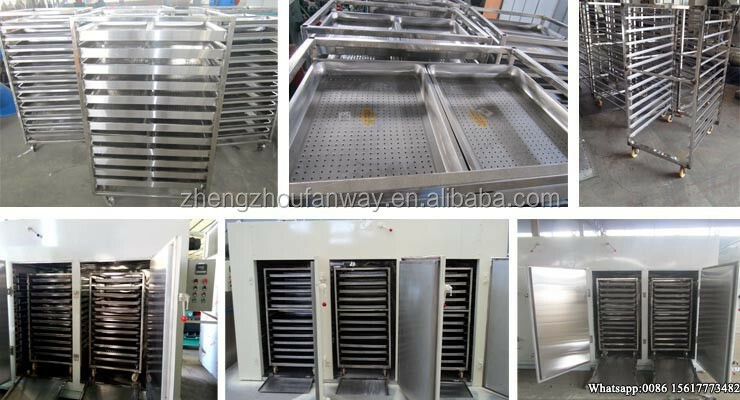 All the drying trolleys and baking trays are made of stainless steel. 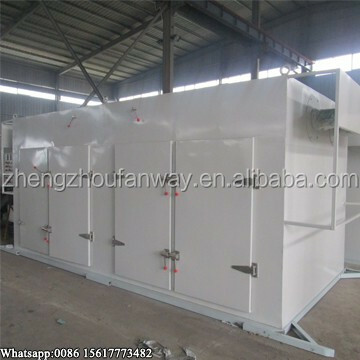 Function: drying, dehydrating, dewatering, removing the surface water as well as the inside moisture. 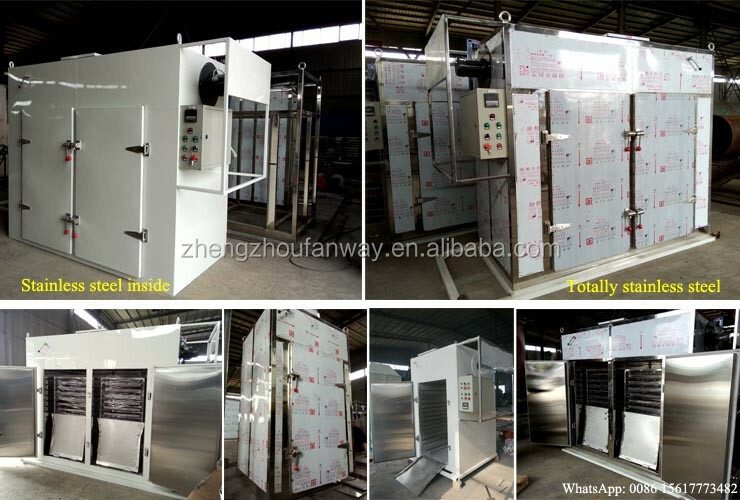 This red onion drying machine can be used in many fields, such as food processing industry, fruit and vegetable processing industry, agricultural and sideline industry, seafood processing industry, medicinal industry,chemical industry, etc. •Dried fruits: apple,lemon, berry, banana, kiwi, figs, pear, peach, pineapple, mango, jujube, plums, etc. •Dried vegetables: mushroom, pepper, carrot, cabbage, red chili, onion, tomato, potato, sweet potato, garlic, ginger, etc. •Dried nuts: cashew nuts, walnuts, peanuts, etc. •Dried seafood: sea cucumber, fish, sardines, shrimp, etc. •Dried beans: Cocoa beans, peas, etc. The drying time of this red onion drying machine will vary by different materials, moisture content, sugar content, local climate, etc. 1.Fruits can be dried whole, or as slices, such as mango, papaya, and kiwi, etc. Alternatively they can chopped after drying, made into pastes, or concentrated juices. 2. Dried fruit is widely used by the confectionery, baking and sweets industries. 3. Food manufacturing plants use dried fruit in various sauces, soups, marinades, garnishes, puddings, etc. 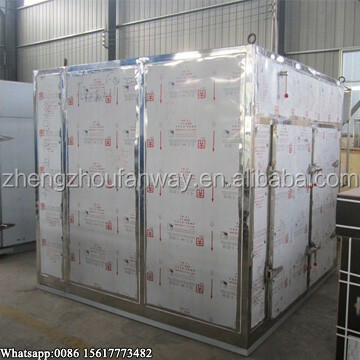 Zhengzhou Fanway Machinery Manufacturing Co.,Ltd is a professional manufacturer of industrial hot air circulating drying machine. We have a strong and experienced steam, with more than 200 workers, engineers, and sales. Our machines have been exported to many places around the world, with good feedback and building long-term cooperation relationship with customers. The smaller model will be packaged by iron frame inside and wooden case outside, while the large model can be put into whole container. Heat efficiency 1. The entire circulatory system is fully enclosed, to improve the heat efficiency from traditional 3-7% to present 35-45%, highest can reach 50%. Operation 2. Automatic temperature control system, easy to operate. Trolleys with wheels on the bottom. Heating ways 3. The heat source can be electricity, steam, gas, coal burning, or dual-use. And please note, usually the machine is equipped with electricity heating way, if choose other heating ways, the machine should work with a furnace. Trolleys & trays 4. 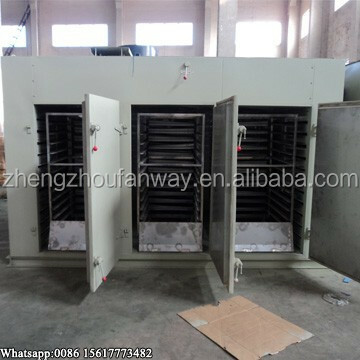 The drying trolleys and drying trays are all made of stainless, and are included in the quotation offered. Voltage to confirm 5. Voltage can be customized. So please kindly tell us _phase, _V, _Hz when send inquiry.